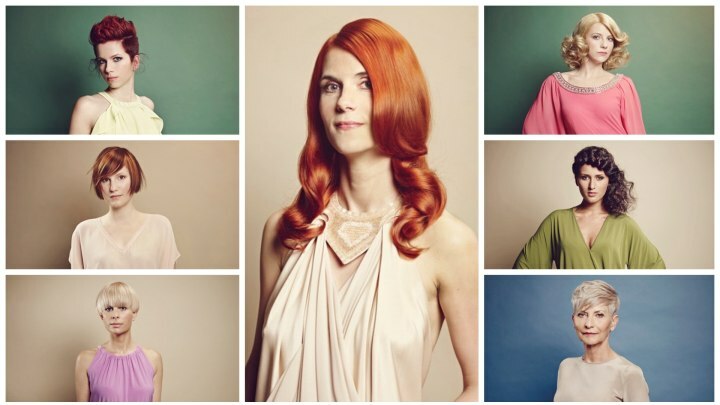 KLIPP Frisör from Austria made it their task to enhance and celebrate the natural beauty in all of us with hairstyles that demonstrate so beautifully that being natural and a fan of fashion does not have to be a contradiction. 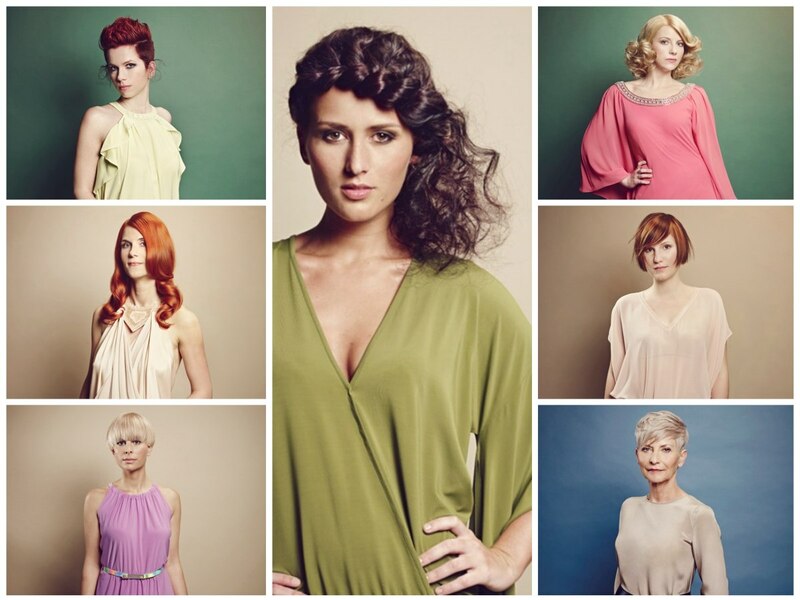 The soft shapes of the hairstyles follow the silhouette and face shape with much harmony of line and design. Each cut is tailored meticulously to each person. Smooth and flowing are the key concepts and all comes in a range of the most luminous, glowing colors. Pastel blonde, earthy coppers and brown. The names of these refreshing new looks reflect their very individual vibe - Rebellion, Inspiration, Vision, Allure, Temptation, Transformation and Seduction. Say yes to nature, go green and be beautiful! Set yourself apart with a sassy, rebellious and at the same time romantic look. 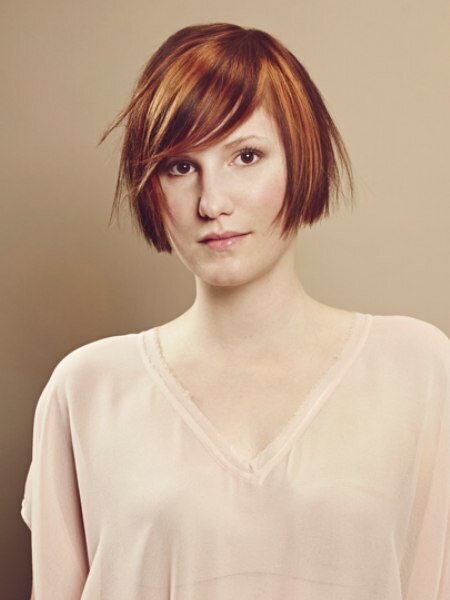 One surprise tops the next in this short haircut that shines in a deep, rich fall foliage red. There are three main sections put together in a unique combination. Extra short clipper cut sides are separated by a part and a slightly darker color to the longer top hair, which is styled radically upward. The surprise are longer tendrils that play in a gentle, curly and feathery way around the ears. A chic fashion look for women who like to be different. 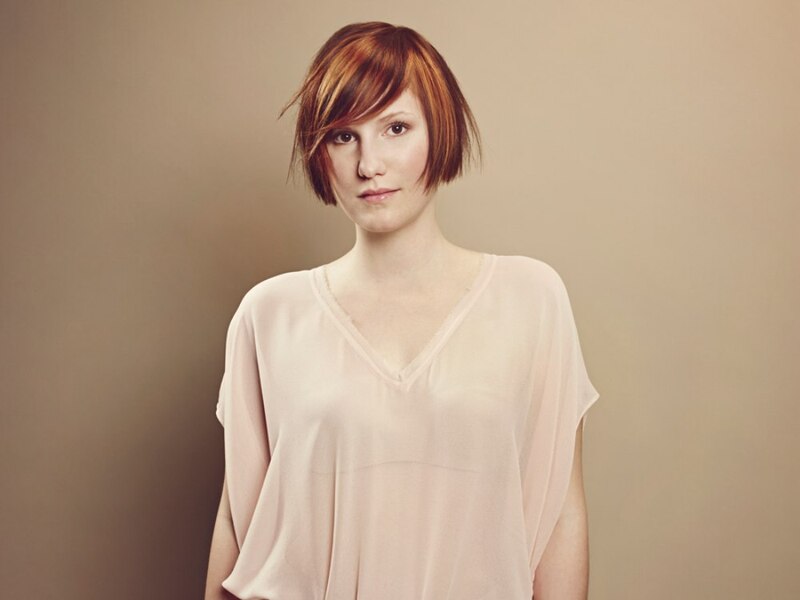 Adorable length and a stunning hair color make this bob stand out. The simplicity of the shape, is contrasted by the exciting and inspired play of colors that range from soft honey blonde and copper to dark brown and even violet hues. The marbled effect changes with every movement and every flicking of the hair. To soften the cut a light texture was cut into the very tips. This minimalist bundle of beauty and charm is elegant and sophisticated, while it still retains its easy going and casual nature. Reduced to pure expression. A traditional bowl cut follows the shape of her head in a bright wheat blonde. A haircut does not get more minimalistic than this. Round and round it goes from the cutting line to the shape. The cut is angled to the inside which allows the shape to be perfect each time after the hair is washed. This makes styling quick and easy. The cutting line exactly follows the shape of her eyes and the lash line sets the roundabout length. The glamour of the 1950s is still alive and a big part of the current fashion trends for hair. 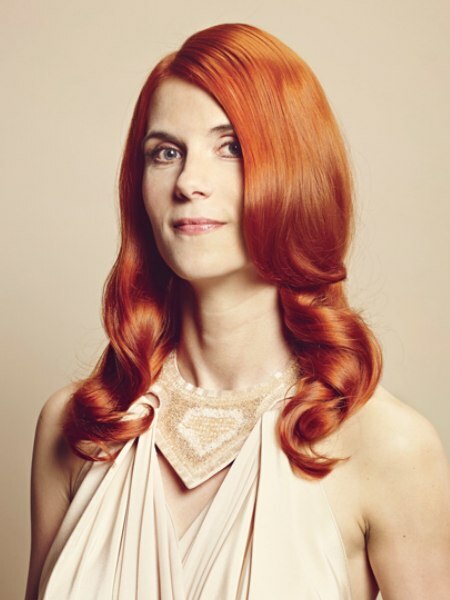 These pampered curls start at the midpoint of the length, leaving the area above the ears sleek. Playful, classy and very feminine with a grand swing of the long fringe. This hairstyle wants to dance! Waltz through the day in the rhythm of the bouncy locks and show the world how a little effort can put a lot of fun into the life of style. Tempestuous drama with a vintage and country feel could be the new treat for your looks and your spirit. Natural curls are controlled with a bold braiding technique that runs from one side across the forehead to the opposite side where the ends are let loose to boost a beautiful curly volume. Asymmetry, control and freedom are the sizzling opposites in this composition. The dark brown hair was elevated with a transparent violet, extravagant yet natural. 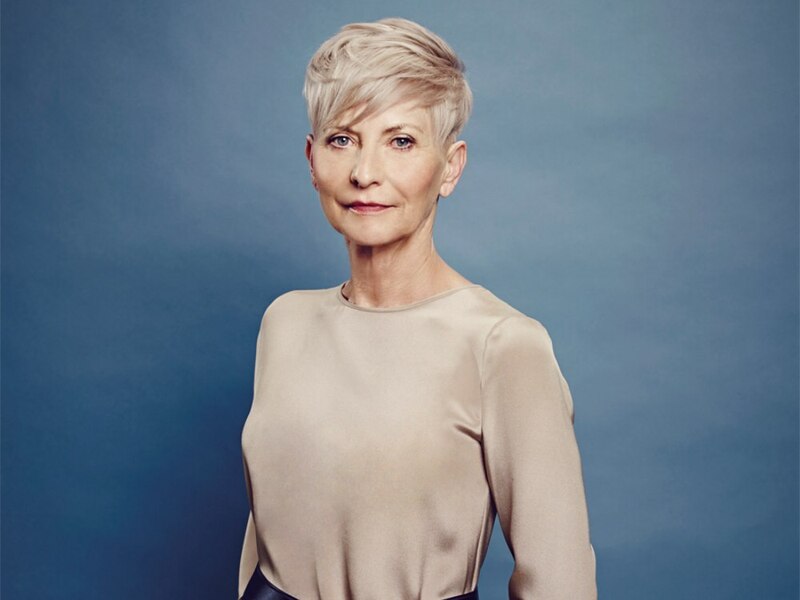 This short haircut for older women goes back to the essentials and leaves all the fuzz aside. However not without much finesse. 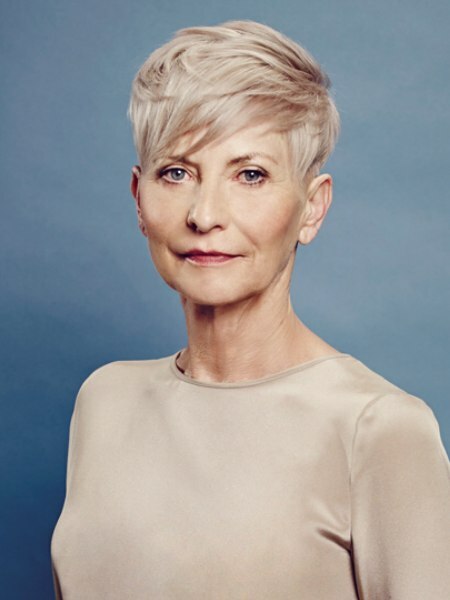 The beautiful lines of the pixie are the result of fine layering and texturizing of the hair which is then styled from a point on the back of one side towards the front where the sharpened tips shape the diagonal fringe. This rejuvenating look is easy to change with a little bit of sculpting and texture product. A soft beige blonde harmonizes with the tone of her skin and adds to the puristic effect of this fashion cut. 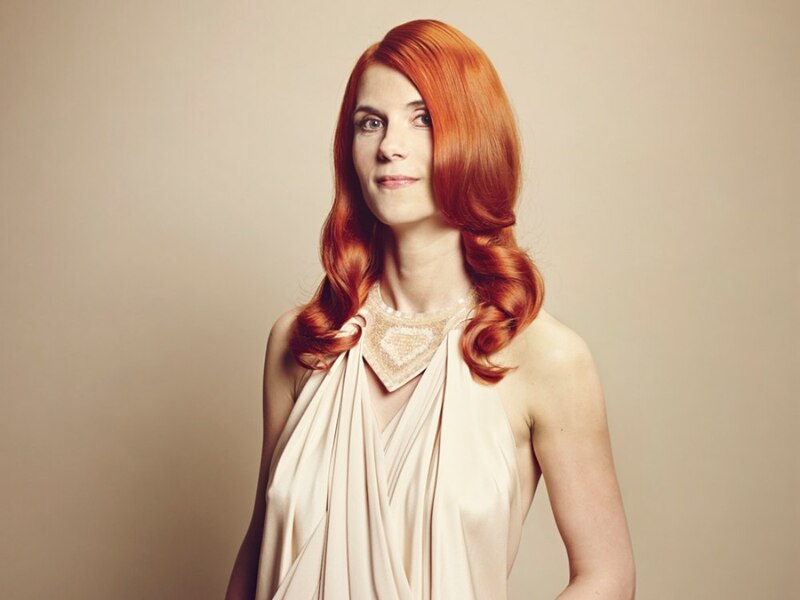 A picture of copper perfection with smoldering heat in every curve of the long locks. The outrageous richness of the color makes her fair skin even more radiant and appear like the finest china. Everything about this long hairstyle is in a melodious flow from the smooth and sleek top to the elegant twisted curls. A long sweeping line frames the face and creates chic asymmetry. There is a little lift brought to the roots of the hair on the crown which gives it a very appealing volume.